Below you can view all the homes for sale in the West Highlands subdivision located in Atlanta Georgia. Listings in West Highlands are updated daily from data we receive from the Atlanta multiple listing service. To learn more about any of these homes or to receive custom notifications when a new property is listed for sale in West Highlands, give us a call at 404-998-4063. The Neighborhood Is Adjacent To Upcoming Westside Park, Which Is Set To Be Atlanta’S Largest Park. MLS#6529616. Beacham And Company Realtors. Community Has Parks, Playgrounds, A Lake W/Fountain & Trails. MLS#6527660. Chapman Hall Premier Realtors. Here'S Your Opportunity To Be Part Of The West Midtown Lifestyle! MLS#6523555. Keller Williams Realty Atl Part. Home Is Conveniently Located To All That West Midtown Has To Offer! You Want To Live Here! ! MLS#6522147. Berkshire Hathaway Homeservices Georgia Properties. A Whole New Level Of Lifestyle W/ Close Proximity To Midtown, Downtown And Buckhead. MLS#6520014. Engel & Volkers Atlanta. Home Located Across From Westside Reservior Park Slated For 2019-2020, The Proctor Creek Greenway & Olympic Sized Pool In 2020. MLS#6518648. Keller Williams Rlty-Ptree Rd. Estimated Move-In Time Before End Of February, 2019 MLS#8541353. Brock Built Properties, Inc..
Proctor Creek Greenway Is Steps Away, Leading To Atlanta'S Largest Future Park--Westside Park At Bellwood Quarry! MLS#6515471. Ansley Developer Services, Llc. 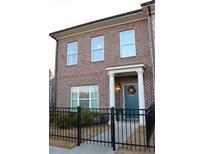 Great Community, Minutes From Buckhead, Midtown, Downtown, Atl Station. Estimated Move-In Time 02.28.2019 MLS#6510205. Brock Built Properties, Inc.. Features & Finishes Include Hardwood Flooring Throughout Main Level, Granite Countertops In Kitchen, Oversized Kitchen Island, Sstl Appliances, Tile Bathroom. Eta 4/30/2019 MLS#6510472. Brock Built Properties, Inc..
Minutes From Buckhead, Midtown, Downtown, Atl Station. Estimated Move-In 04.30.2019. MLS#6510250. Brock Built Properties, Inc..
For Directions Gps: 2006 Stanfield Ave Atlanta, Ga 30318 MLS#6510291. Brock Built Properties, Inc..
For Directions Gps: 2006 Stanfield Ave Atlanta, Ga 30318 MLS#6510298. Brock Built Properties, Inc..
For Directions Gps: 2006 Stanfield Ave Atlanta, Ga 30318 MLS#6510278. Brock Built Properties, Inc.. Double Digit Appreciation For A Great Investment Potential In Hot West Midtown. MLS#6506015. Keller Williams Buckhead. Minutes From Buckhead, Midtown, Downtown, Atl Station. Ideal Location. MLS#8522518. Brock Built Properties, Inc..
Minutes From Buckhead, Midtown, Downtown, Atl Station. Ideal Location. MLS#8522537. Brock Built Properties, Inc.. Ideal Who Work Inside Perimeter. Closing 02.28.2019 MLS#6096118. Brock Built Properties, Inc.. Estimated Move-In Time By The End Of January, 2019. MLS#6096147. Brock Built Properties, Inc..
Great Community, Minutes From Buckhead, Midtown, Downtown, Atl Station. Ideal Who Work Inside Perimeter. MLS#8467562. Brock Built Properties, Inc.. Ideal For Those Who Work Inside Perimeter. Estimated Move-In Time - March 2019. MLS#6013720. Brock Built Properties, Inc..